In this very unique and special training program, Michael offers an in depth investigation into the elements of Pranayama and Mantra. Both these subtle elements of our Yoga practice require in-depth study with clear concise instructions and committed practice. 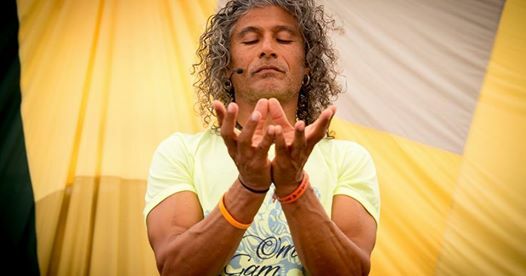 In the course of the training we will learn all the necessary steps to practice and teach a variety of Pranayama with the assistance of Bandas, and a clear methodology for understanding Mantras and how to share these with our students. Who can attend to the program? We strongly recommend this program to anyone, who wants to learn pranayama and mantra practices, as well as the benefits and detailed practice tecnics. Also, we recommend the program especially to teachers who want to offer a deeper yoga practice to their students with the inclusion of Pranayama and Mantras. Es gibt 15 freie Plätze.